You might be surprised to learn that I suffered from a deep-seated fear of public speaking for the better portion of my career, and would have preferred never—ever!—to stand up in front of an audience. 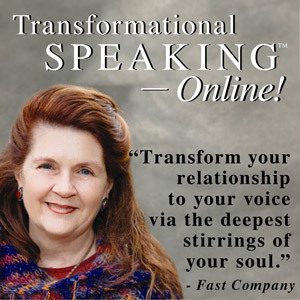 I was first called—or rather, telegrammed—to transform my approach to public speaking in 1981, after receiving a personal invitation from the President of the United States. I’d been awarded the Tennessee Small Businessman of the Year Award from the U.S. Small Business Administration and was summoned to the White House. In retrospect, I see I deserved this honor! After all, my first speech ever was to 4,000 women at the Tennessee Women’s Career Convention, and I was terrified. The Women’s Career Convention was the first event I had ever sponsored and organized, the one that brought me to the attention of business leaders in my community for the positive change it created —and the one that resulted in my nomination. I had no idea of the magnitude of the honor I was about to receive, nor the number of speaking invitations that would come my way as the first woman to be spotlighted as the small business “man” of the year in my state. 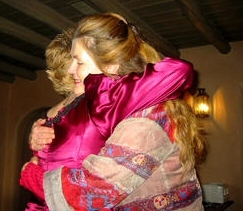 And so, with an unexpected telegram as my impetus, I began what years later I have discovered is my true work— developing the intimate and life-changing practices of Transformational Speaking. But first I had to do it the hard way, as most of us do, taking classes, trying to learn the “right” skills, and in the process obscuring the freshness and originality that created my speaking invitations in the first place. Thirty years later, I take great joy in public storytelling, and even greater joy in sharing my life’s work with speakers and change artists across the world. The past three decades have carried extraordinary opportunities for learning and leadership—from an executive vice president position at the National Speakers Association where I observed the best of the best, to the study of indigenous wisdom with cultural anthropologist Angeles Arrien, to facilitation training at the Institute for Cultural Affairs, to founding partner of the JourneyWell Center for Integrative Health. 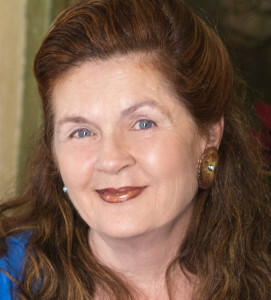 I’ve grown through studying intuitive guidance with Doreen Virtue, Ph.D. and continuing shamanic practice with several renowned teachers. My speaking was propelled by my first book, Madame Ovary: Midlife As An Art Form, which helped me to develop a few of my signature voices—and play with comedic vulnerability as a vehicle for self-expression. Only then did I really begin to enjoy taking the stage because I uncovered a great truth that now guides my work: we all have voices we’ve silenced that bring us fully alive, and the feisty, irreverent Madame Ovary was that voice for me. 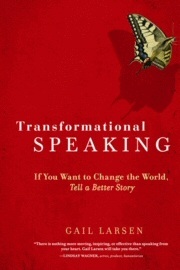 My second book, Transformational Speaking: If You Want to Change the World, Tell a Better Story was released in April 2009, and synthesizes my combined experience as a speaker, workshop leader, coach, and seeker of wholeness, packaged with love…and hope for a more compassionate world that works for all of life. 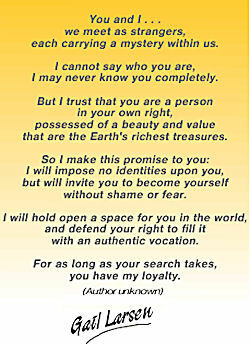 I believe we each have within us a powerful voice for change. That voice may come forth through the spoken or written word, our music or artistic expression, or perhaps in our capacity to sit in silence with a friend or stranger who simply needs the comfort and strength of our presence. 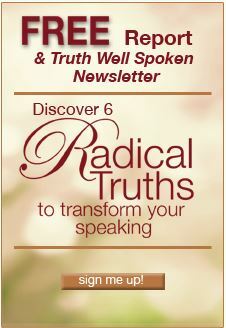 As Gandhi reminded us, “We must be the change we wish to see in the world.” I invite you to to move through whatever may be stopping you and become a voice for what you love through transformational speaking—and transformational living.